Scott, the well-dressed pilgrim, in St. Jean Pied de Port, France. A lifelong resident of the Bay Area, I have been many things: a hippie in the ’60s, an army veteran of the Vietnam era, sailor, ocean kayaker, builder of biadarkas (Aleutian skin kayaks), cook, opera lover, student of English Literature and Art History, mushroom hunter and member of the SF Mycological Society (providing mushroom picking lessons and feasts to hikers), and a probation officer. 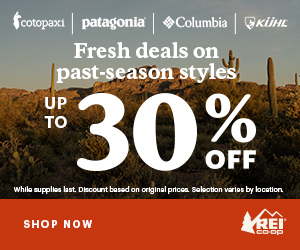 Now retired, I am hiker extraordinaire who is active in the American Long Distance Hiker Association-West and has thru-hiked the Triple Crown (Pacific Crest Trail, Continental Divide Trail and Appalachian Trail). 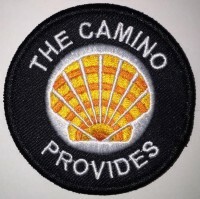 I am also a Camino Francés peregrino. On trail I do a lot of first aid on feet and help people learn how to walk without pain. When I’m home, I invite people to train with me in the local hills and mountains by coordinating a “Hike Alert” list, letting folks know where and when I’ll be hiking each week. I’m not a hike leader per se, but welcome anyone who wants to experience some of the wonderful local trails we have here in the Bay Area. So how did Scott get the trail name Shroomer? That’s another good story. See end of this post. To subscribe to his Hike Alerts, email Scott with ‘Add to Hike Alert’ in subject line.